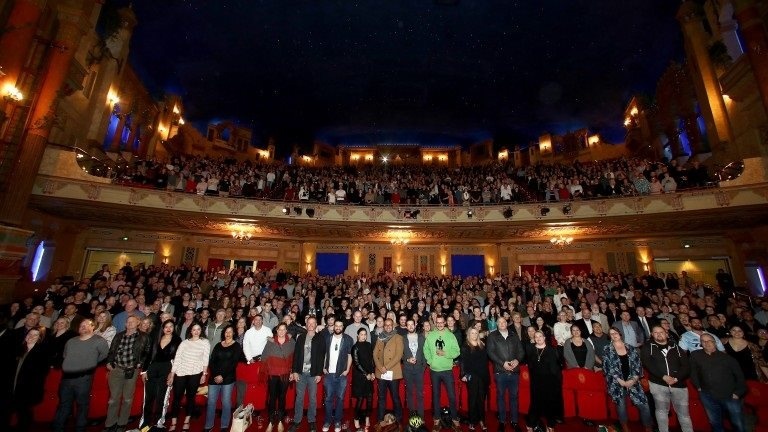 Screen Auckland and its valued Kumeu Film Studios partners – the NZ Film Commission, Warner Bros. Pictures and Gravity Pictures – hosted more than 2000 guests at the first New Zealand screening of The Meg on 13 August at The Civic. The mainly local cast and crew of The Meg, Deputy Mayor Bill Cashmore, Executive Producer Barrie Osbourne, and the many and varied local suppliers to the production were among guests of honour at what was an exciting evening of recognition for the people connected to the production, including cast members, extras and crew. The Meg has been a huge success internationally. It was Warner Bros’. best weekend debut of the year and quickly become number one at the box office in more than 40 countries. The film has now reached close to US$520 million (approx. NZ$790 million) at the box office worldwide, making it the most successful shark film since Jaws. The Meg has also proven that large blockbuster films with a high level of technical proficiency can be successfully based and largely shot in Auckland. Jason Statham and Director Jon Turteltaub both praised the technical skills of local suppliers, including the prop makers, special effects and post-production companies, as well as the talented local crew who worked on the production.